The SOLD sign beside this 1912 barn-style craftsman house was quickly followed by an ever more common tear-down sign. 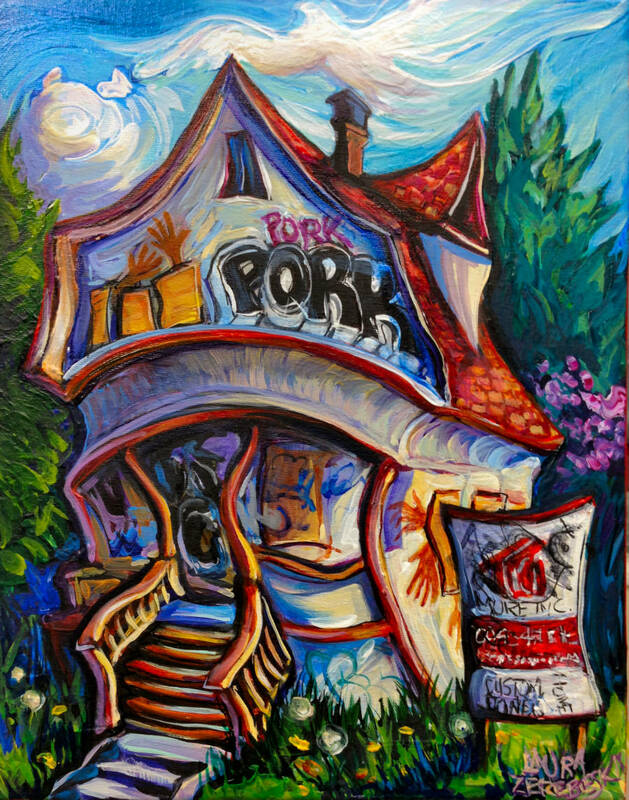 Then graffiti artists added the emblematic “PORK” tag. The word PORK is associated with consumption and excess. It also brings to mind that classic “Capitalist Pig!” epithet, not to mention Vancouver’s horrible history with a certain pig farm. I’m interested in purchasing. Kindly respond with pricing. Here is my price list: https://laurazee.com/about/prices/. This one is 11×14.